Oils? For Fungus or Salad? When it comes to toenail fungus treatment options there is nothing more amusing than listening to a new patient telling me about his/her experience in using yet another oil to treat onychomycosis. Tea tree oil is the ultimate leader. But how about olive oil, oregano oil, peppermint oil, almond oil, lemongrass essential oil? Here is a new one: jojobo oil for home therapy of nail fungus! According to the nail fungus gurus publishing tons of sketchy articles on the Internet, the cure is simple and miraculous: put some oil of your choice into a foot bath with warm water and soak your feet for 10-15 minutes – just 5-6 times a day at your convenience and for about 6-9 months. Rub the nail with some hydrogen peroxide or alcohol each time. Occasionally sprinkle your nails with some apple cider vinegar and you are sure to be healed. Forever. Frankly, I can’t imagine anyone taking a 20 minute break from work for a toenail fungus spa treatment 3 times a day during the work hours. But according to some of the rave reviews it works. Does it? While some of these oils do have some anti-fungal properties, I have yet to see a patient who has actually cured himself. 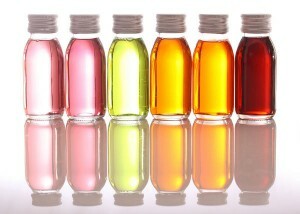 Essential oils may do a wonderful job moisturizing skin and nails. In particular tea tree oil in a foot shampoo or soap can help protect fungus free nails from dermatophyte invasions and prevent reinfections. I repeat: fungus-free nails. Onychomycosis is a medical condition, which is not easy to treat even with the use of advanced medication and technology. Laser treatment of toenail fungus when used in conjunction with reliable medicine offers physicians the best therapy option available today. The use of oils as part of the preventive regimen can be recommended along with a few other recommendations, such as footwear, hosiery, personal hygiene. Wearing fungus-free shoes is a must. 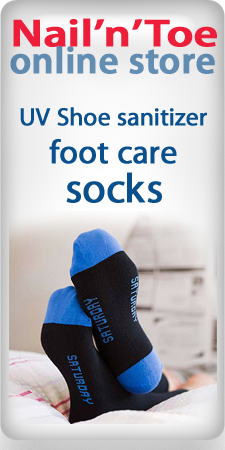 The best way to sanitize your shoes is an ultraviolet germicidal shoe sanitizer (available in Nail’n’Toe Products Center). Your shoes should be properly fitted: not too tight, not too loose. Avoid wearing socks made of synthetic fibers. 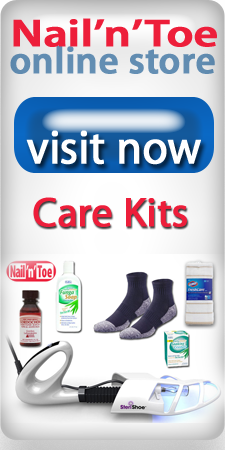 Use cotton socks and make sure to keep your feet clean and dry at all times. Fungus loves moisture. Sweaty feet? Choose the socks and shoes that would provide more ventilation. It’s easier to change your socks and shoes once a day than soaking your feet for 20 minutes 5 times a day! Get rid of fungus first! Get serious about prevention next! Some of these oils are better used in a salad than in a fungus therapy.